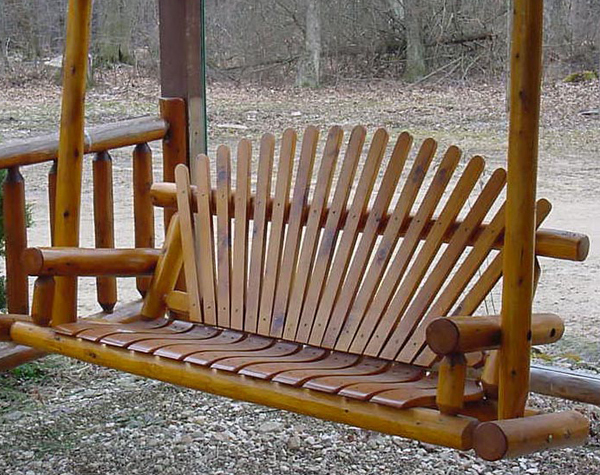 Western Pennsylvania, home to Cook Forest and the Allegheny National Forest, is an outdoor lover’s vacation area for those who love to hunt, fish and just plain get away to spend time at camp. 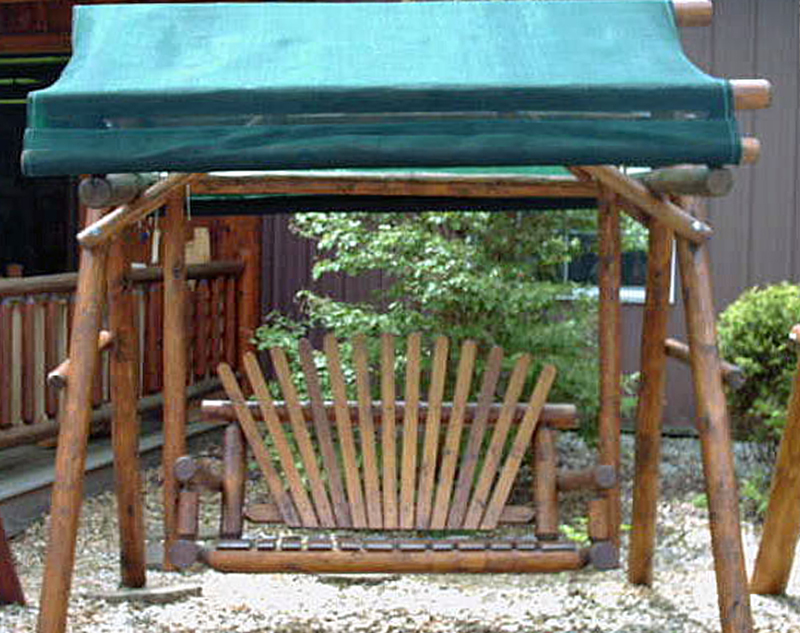 Many visitors frequent the area often enough that they eventually decide to purchase their own camp or cabin. 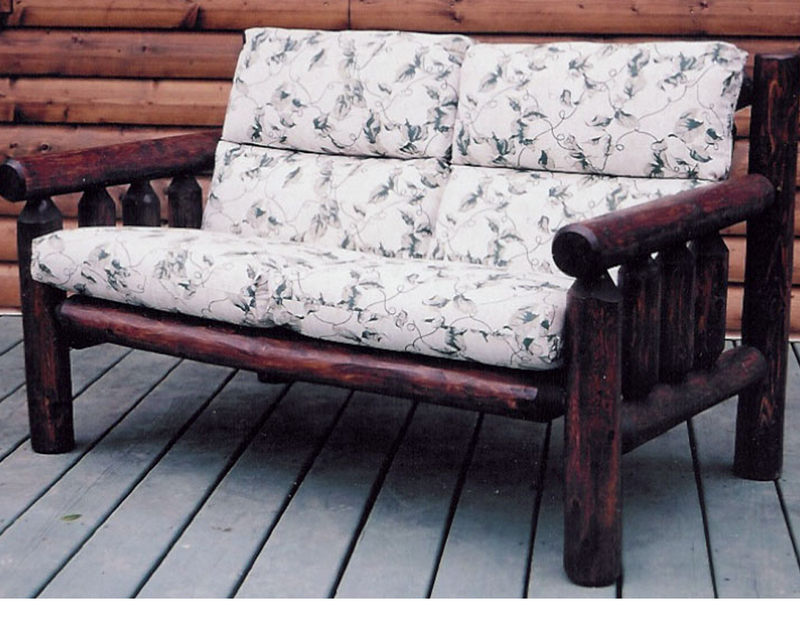 Naturally, one of the first orders of business is to furnish their new getaway. 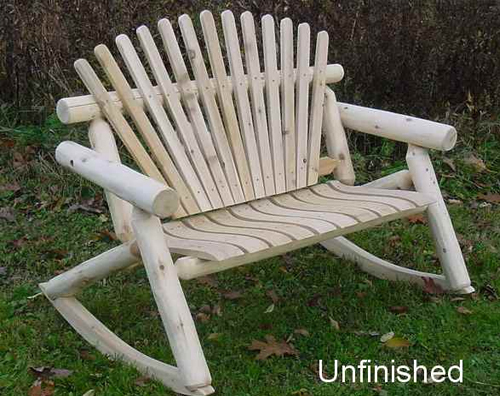 Briar Hill Furniture can make that task a little easier. 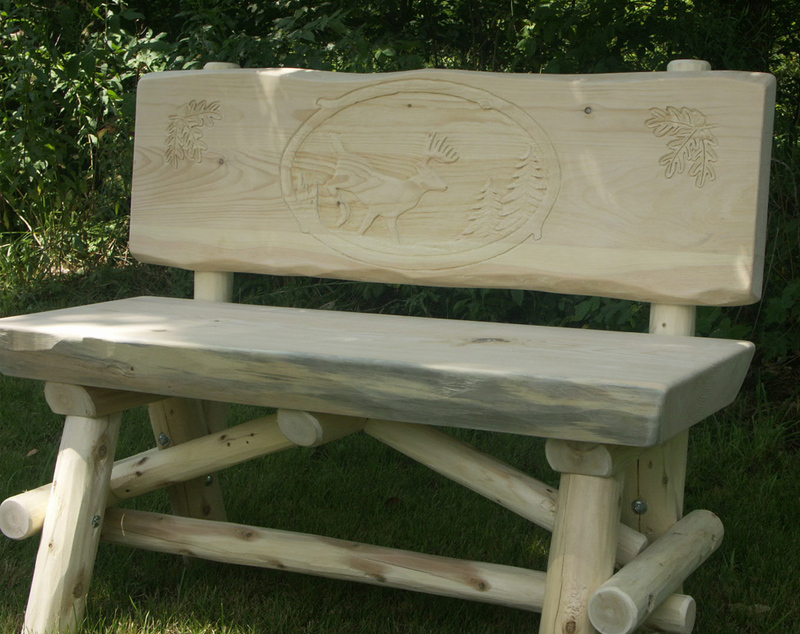 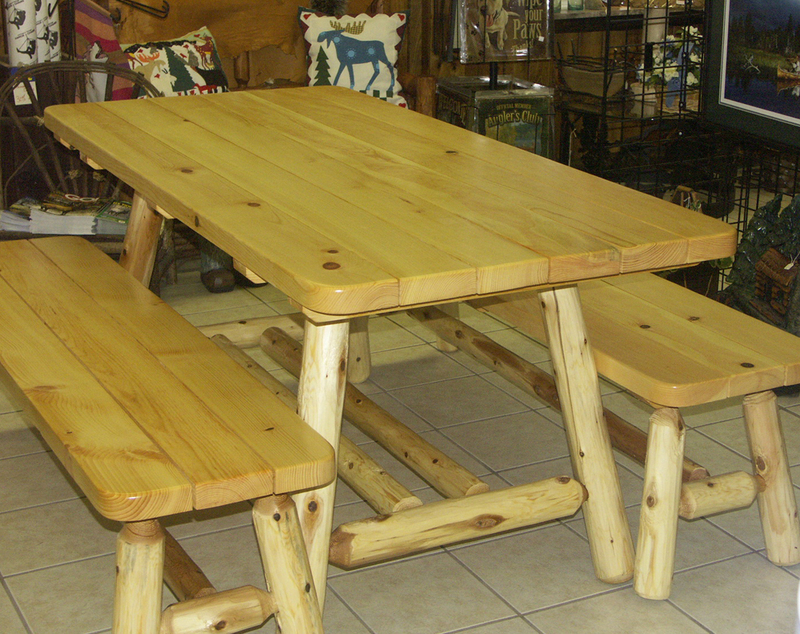 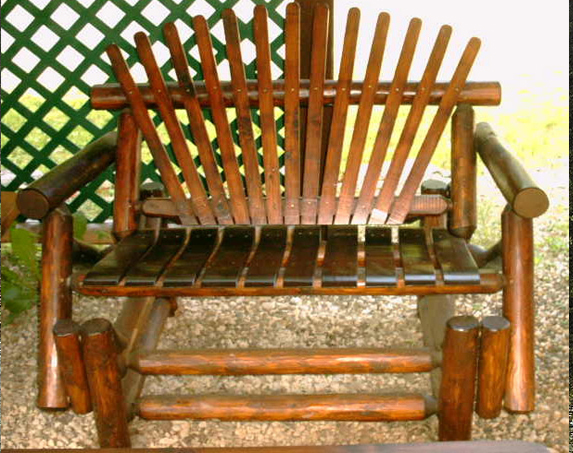 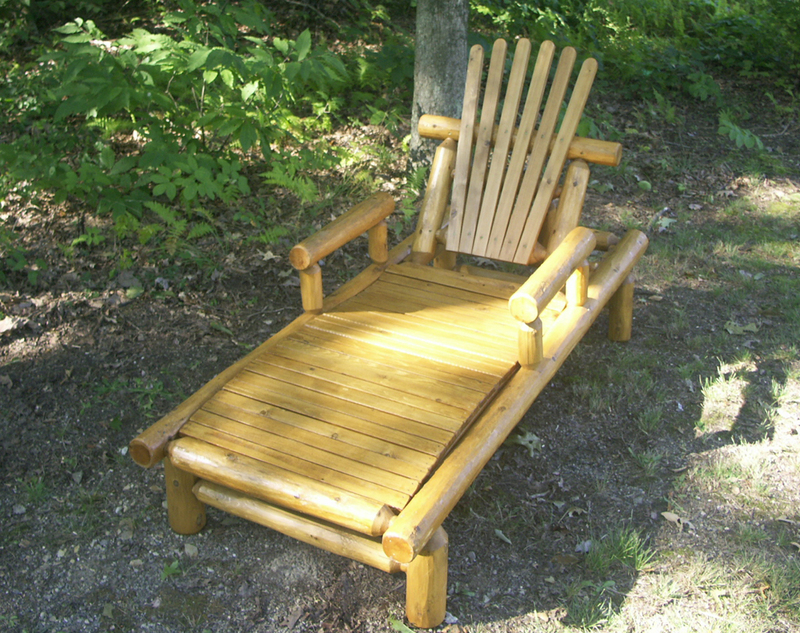 We manufacture rustic, white cedar log furniture at our furniture factory outlet located just outside of Cook Forest State Park. 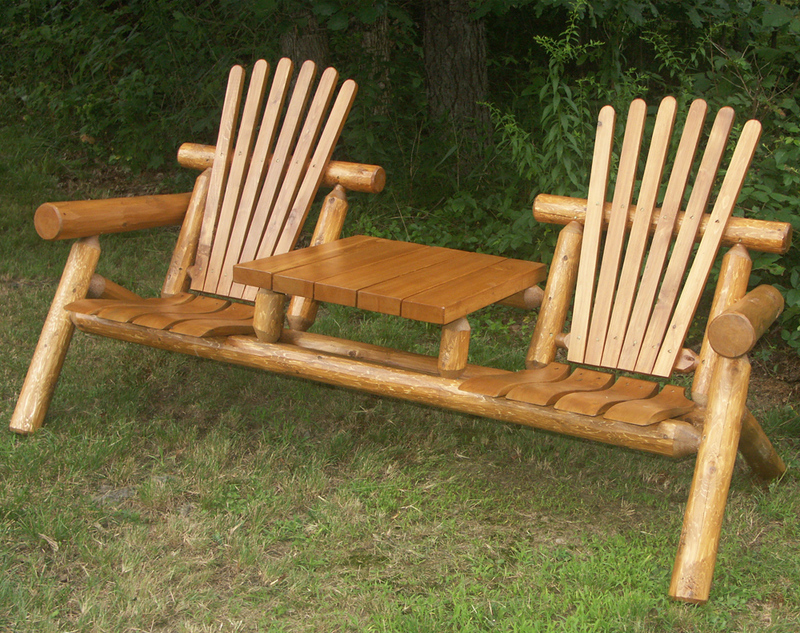 Outdoor furniture is our specialty. 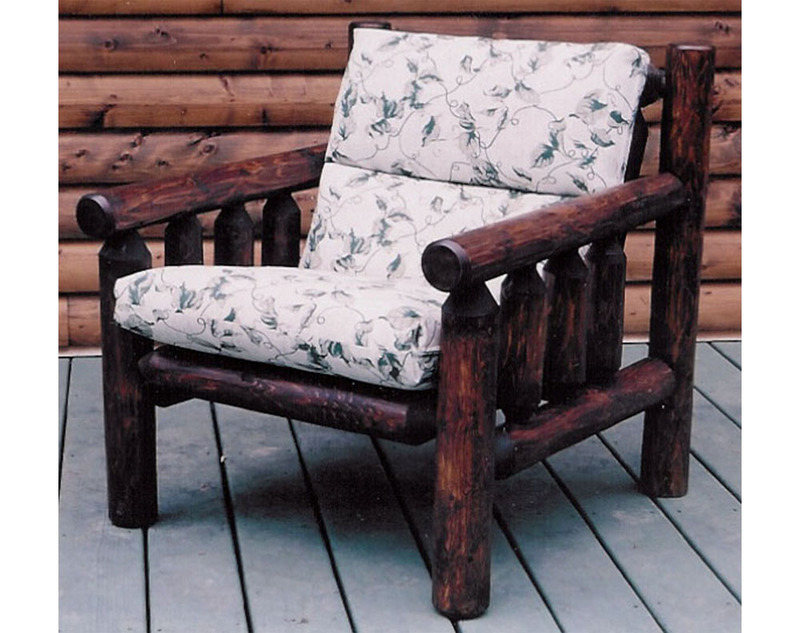 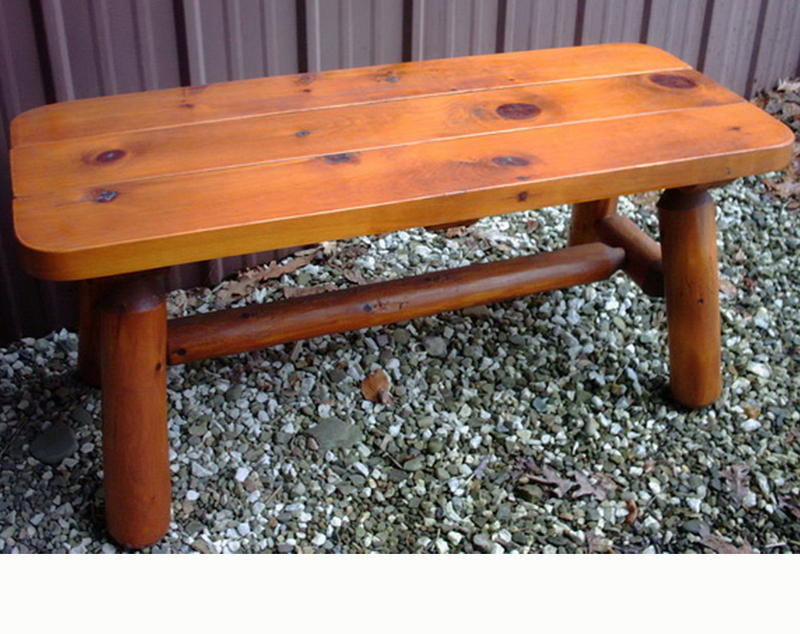 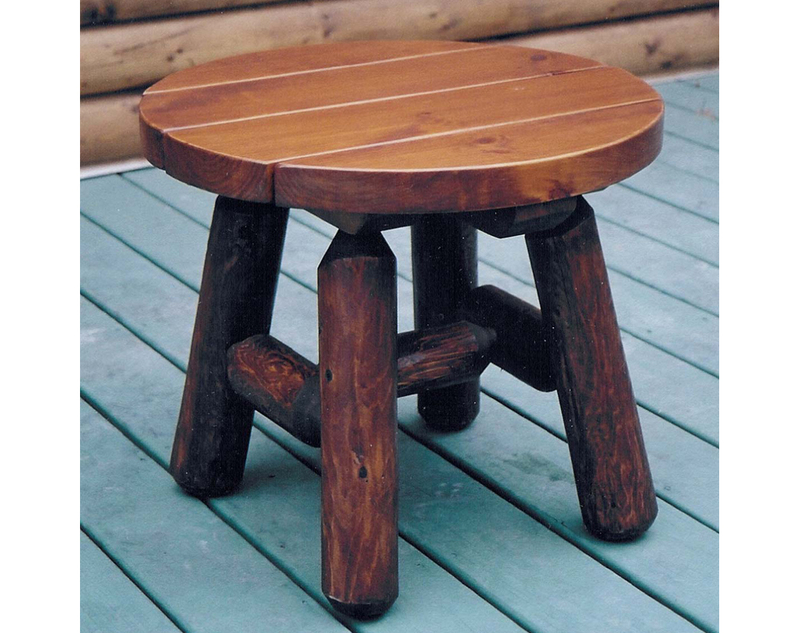 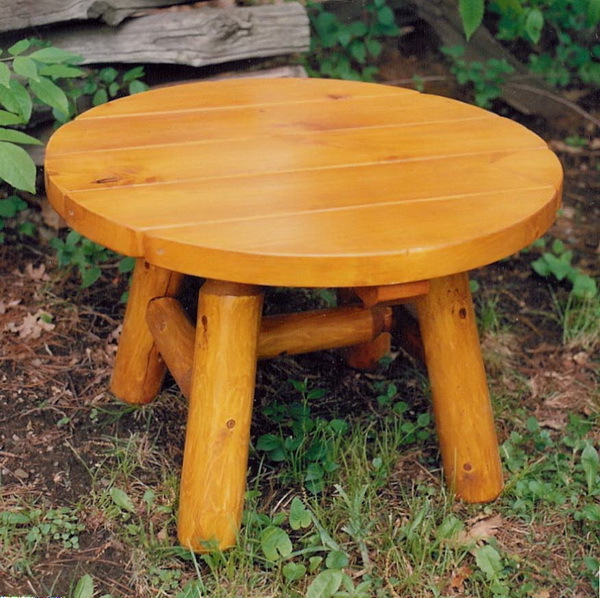 If you think that the natural beauty of rustic log furniture would enhance your camp or cabin, we think that you’ll appreciate the strength, durability and natural resistance to rot and insects that our outdoor furniture has to offer. 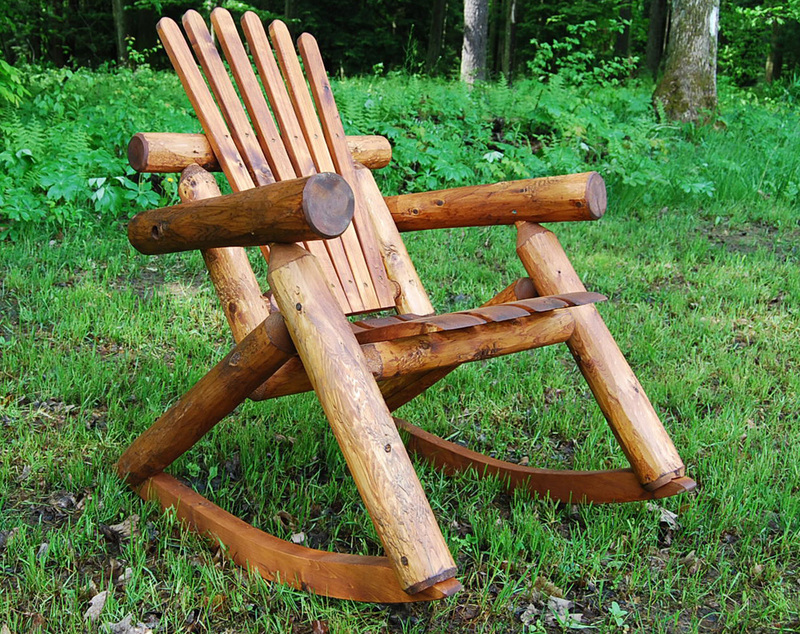 Cheap plastic lawn chairs just don’t hold up when sitting around the camp fire at night, especially with heavier people or when placed on uneven ground, rocks or roots. 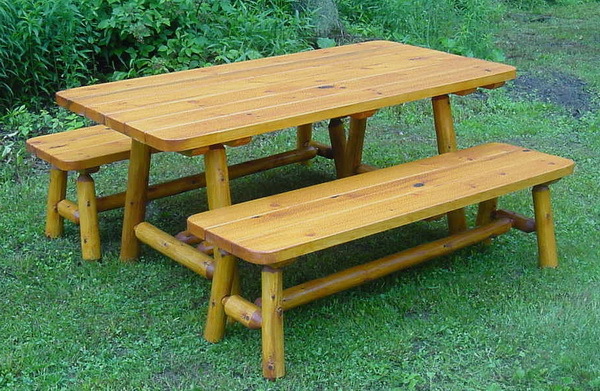 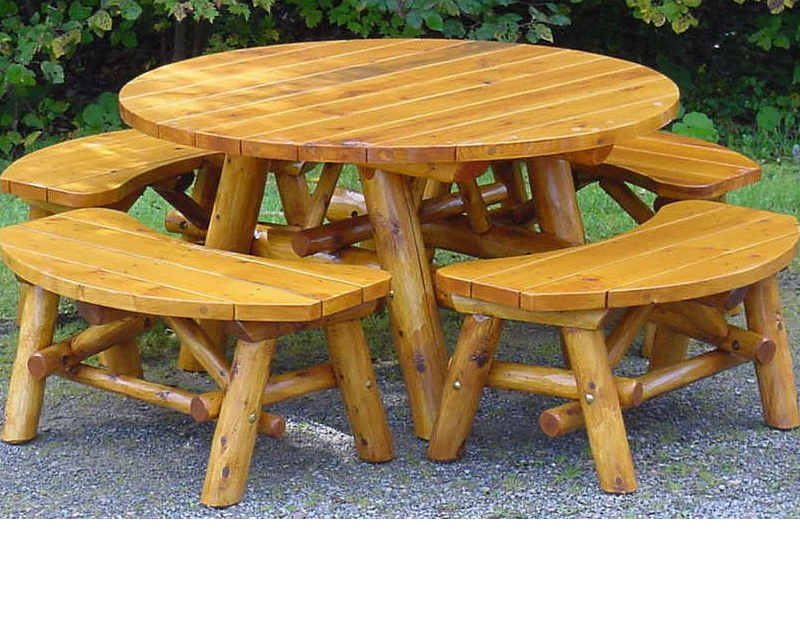 Why not see if one of our heavy duty cedar log chairs or tables can meet your outdoor furniture needs? 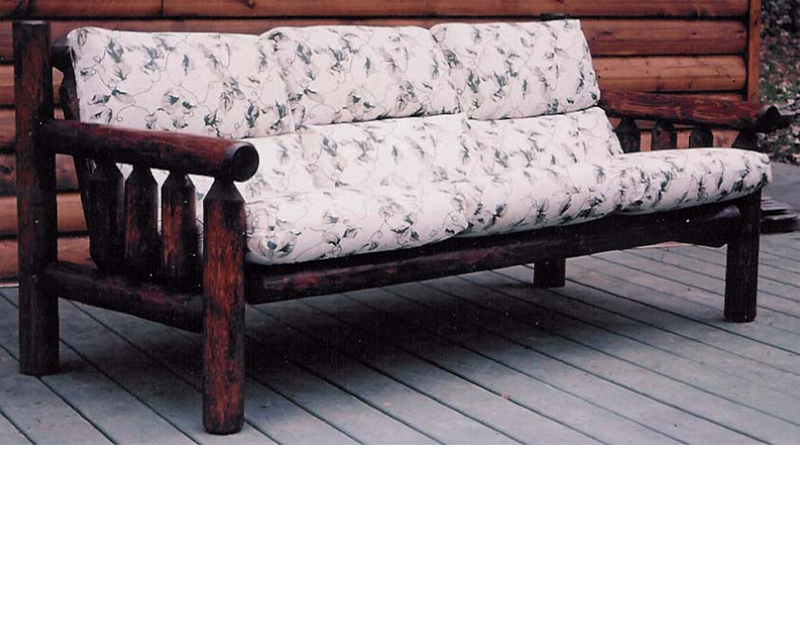 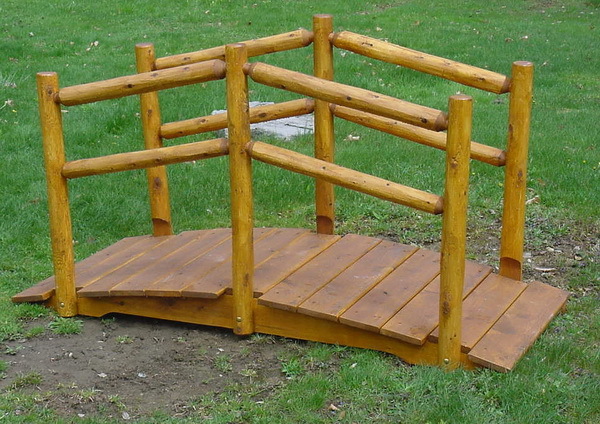 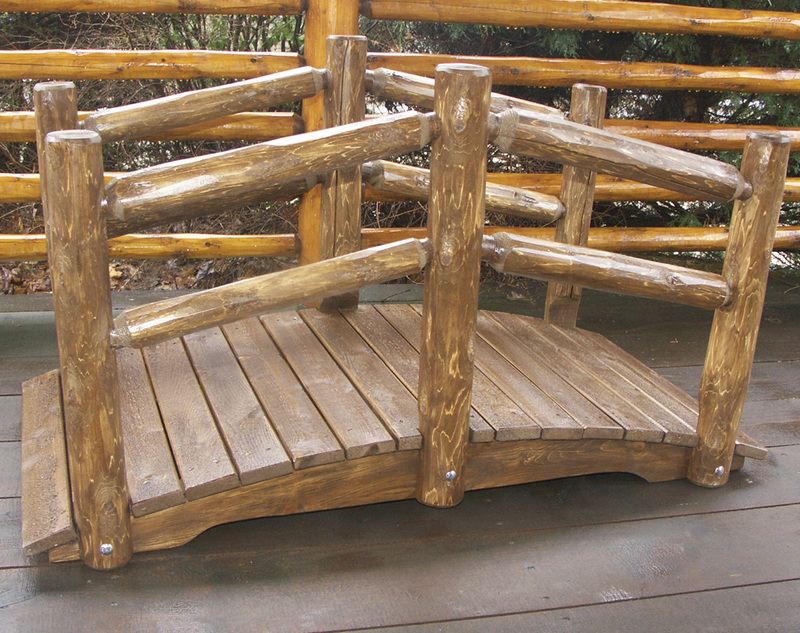 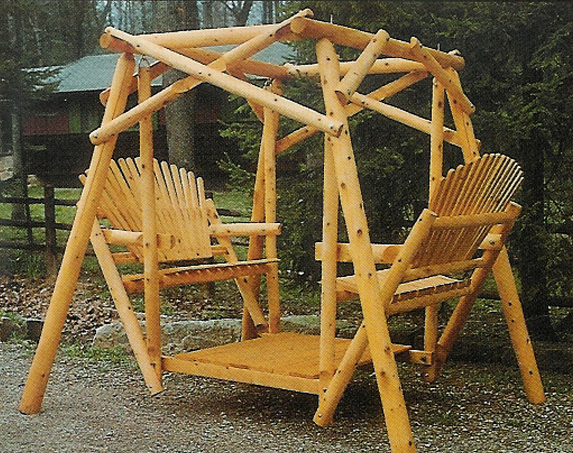 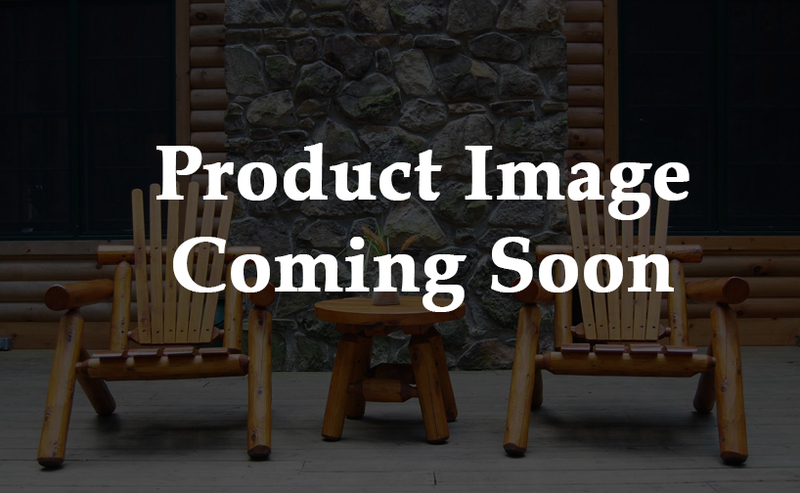 Decks and porches are other places where our outdoor furniture could enhance your camp or cabin. 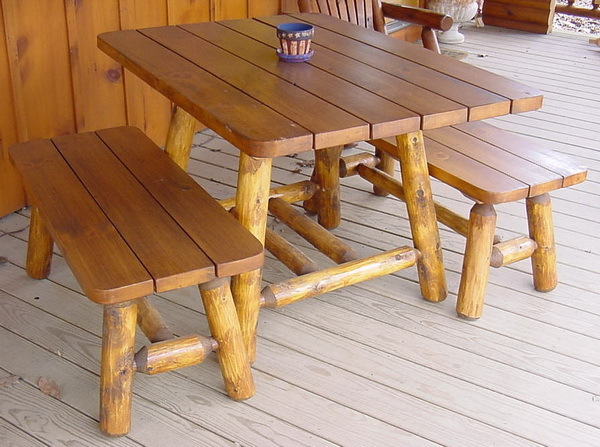 Why spend thousands of dollars on a nice deck or porch, and then furnish it with cheap patio furniture from Wal-Mart? 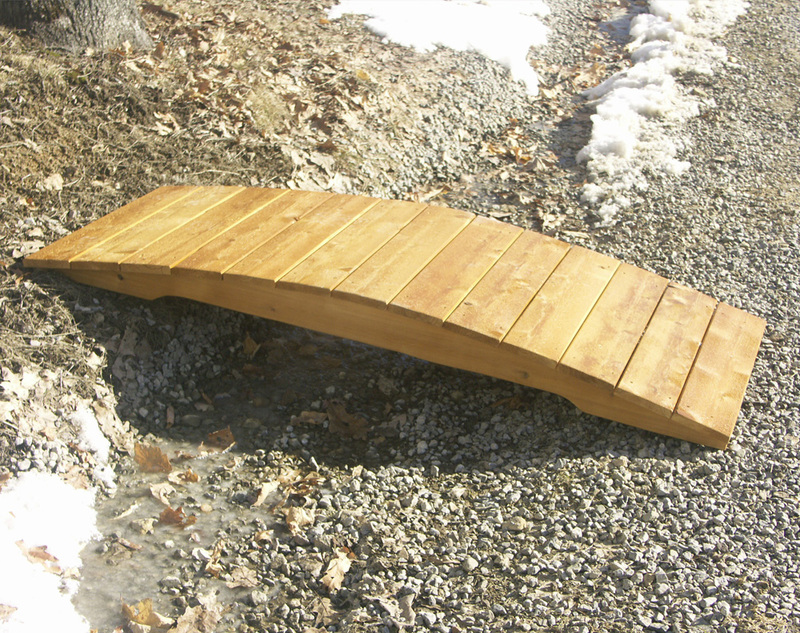 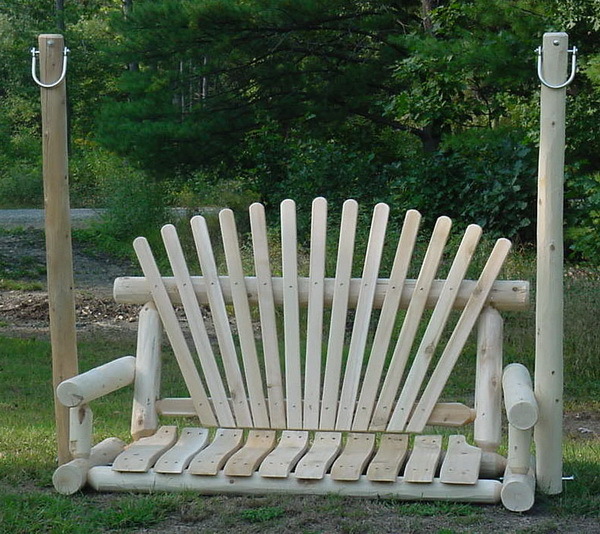 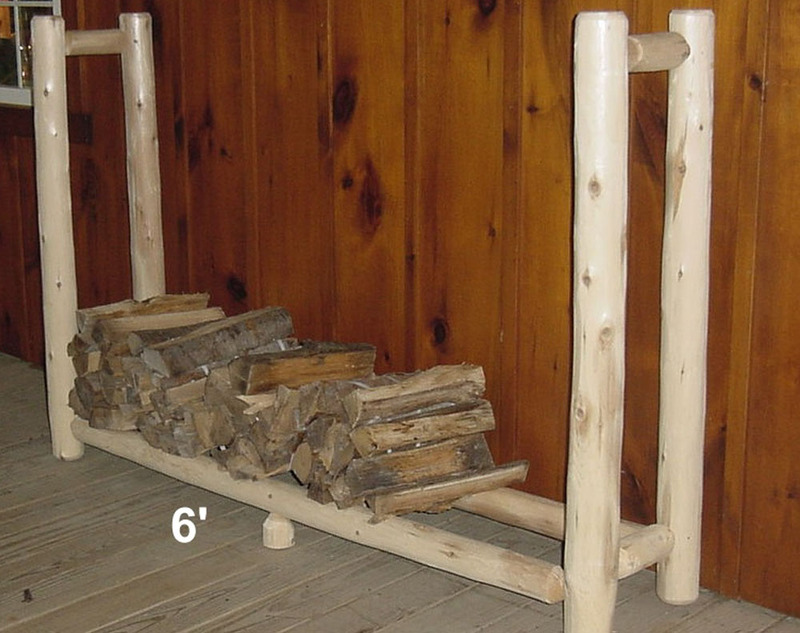 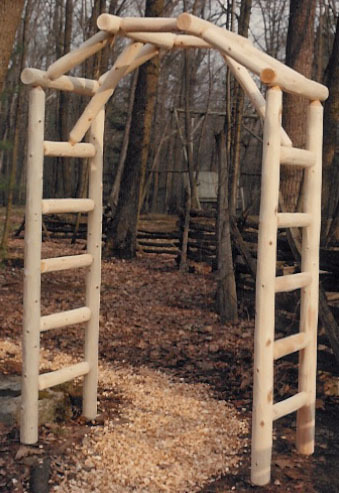 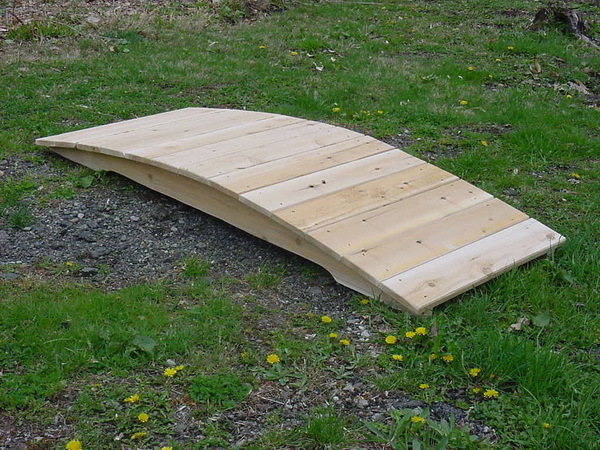 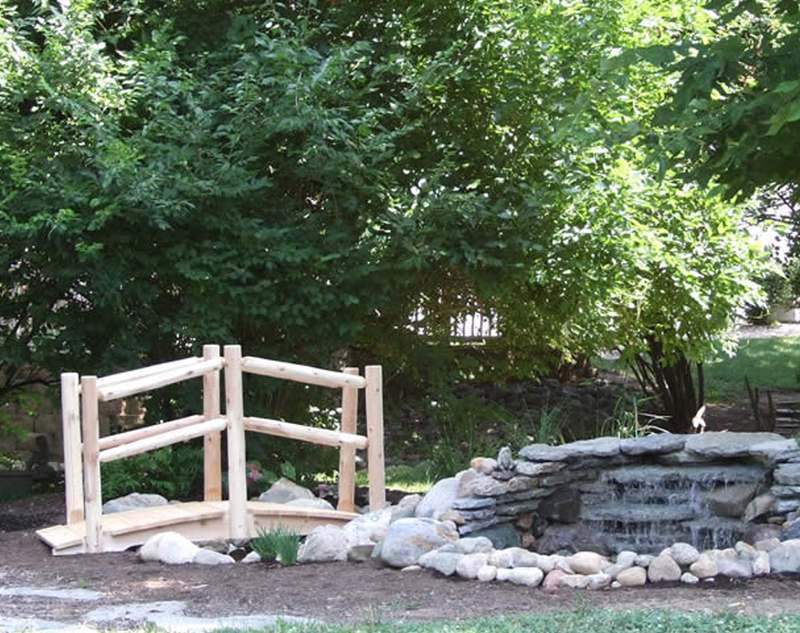 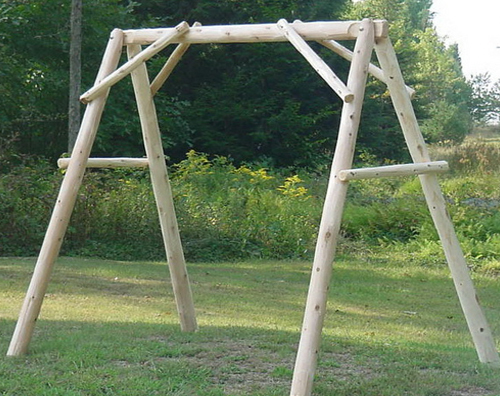 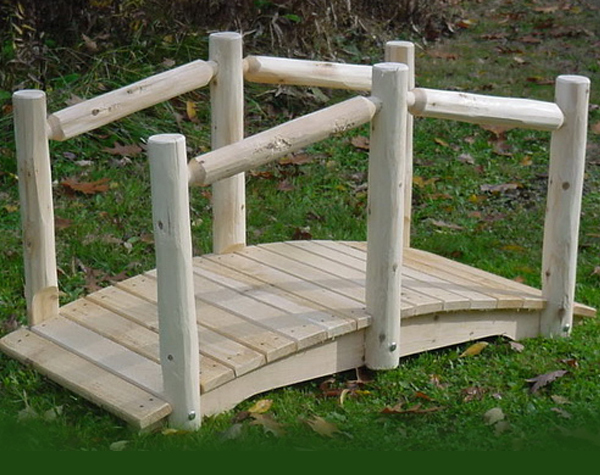 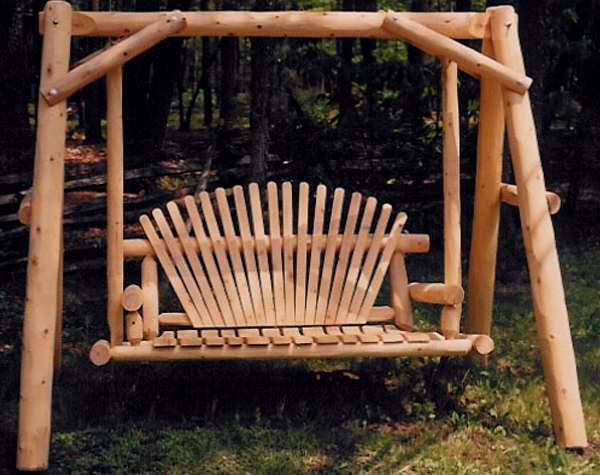 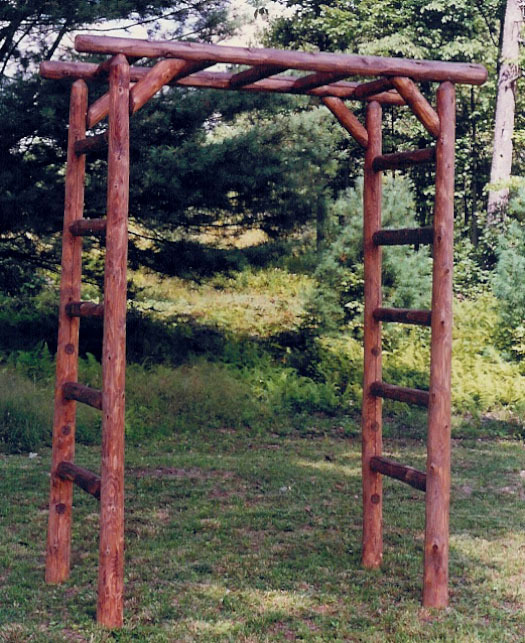 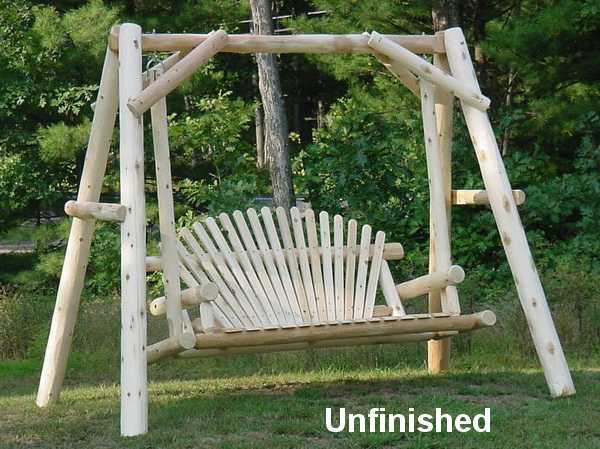 And lastly, how about a great looking, heavy duty log swing for the camp? 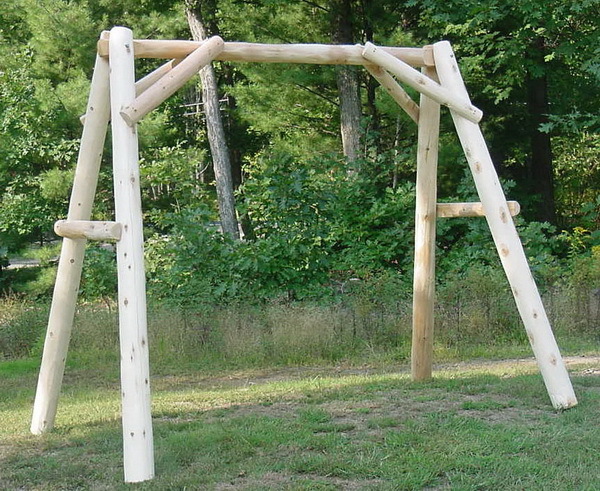 The kids absolutely love our outdoor A-Frame Swings and porch swings! 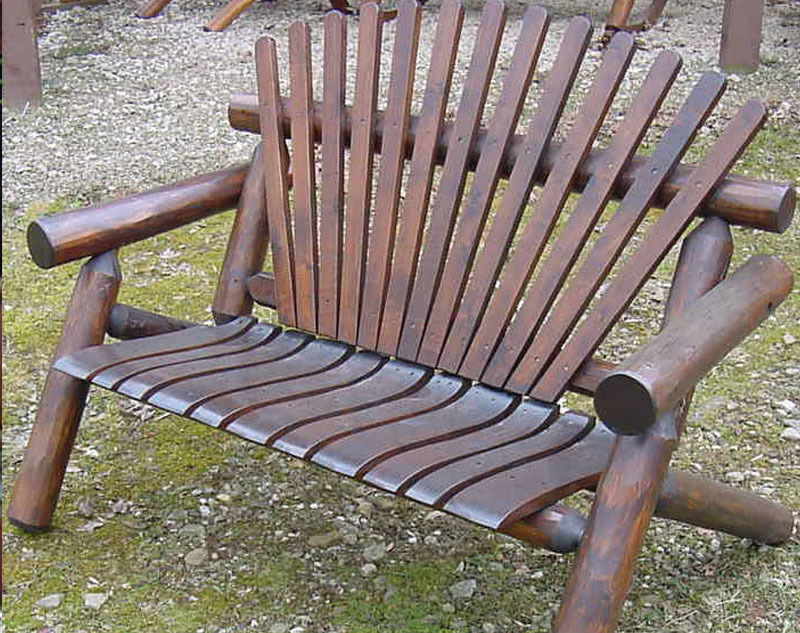 We have these popular outdoor furniture items on display around the local area and of course, at our store. 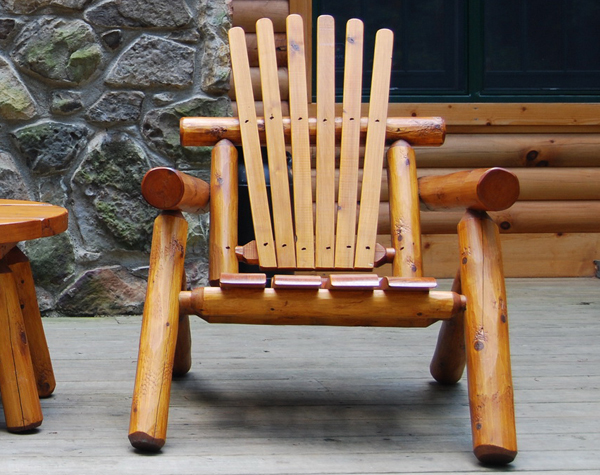 Rugged enough to stand up to years of hard use, our affordable outdoor furniture products will help make lasting memories for you, your friends and loved ones. 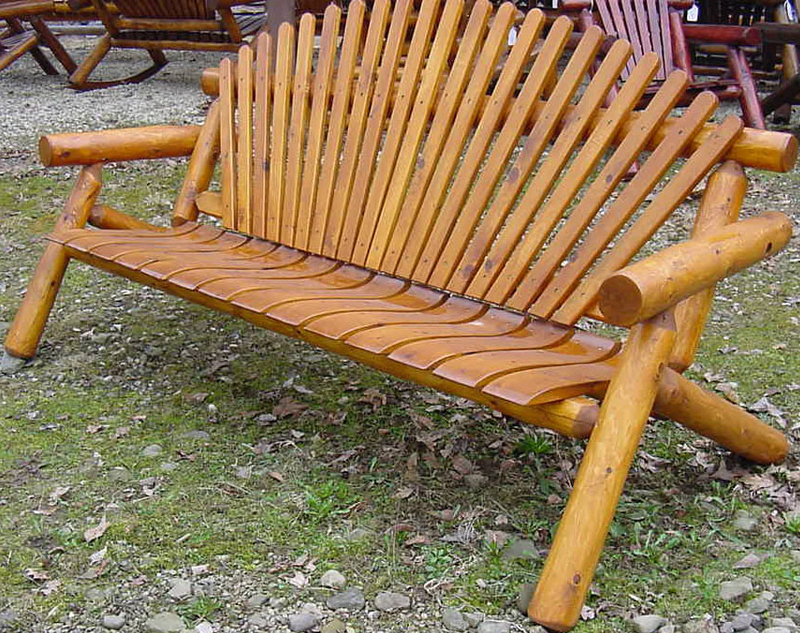 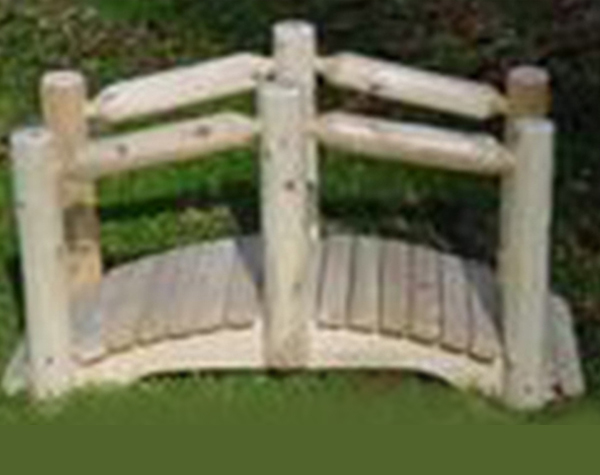 None of our cedar log outdoor furniture products needs finished (but they certainly can be) as cedar wood itself is naturally resistant to rot and insects. 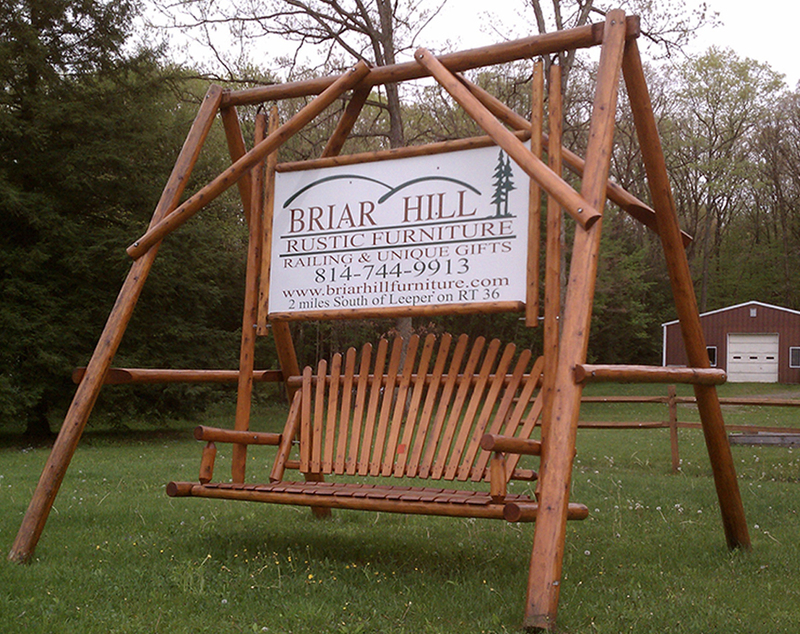 The Briar Hill Furniture factory outlet is located in between Cook Forest and Leeper, PA. We are open daily for business. 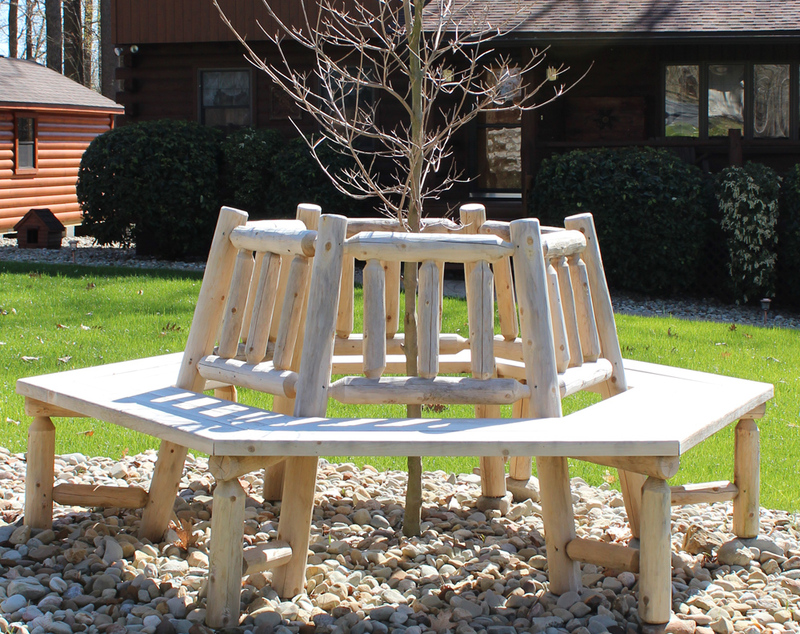 Stop in and try one of our chairs or swings out!